As this site receives a lot of English speaking visitors, we provide as service English descriptions on a number of pages. The aim of DUTCH CRUISE SITE (Nedcruise) is to inform Dutch and Belgian travellers about cruising and cruise ships. Therefore, as this is mostly a Dutch speaking cruise site we have not set-up the whole site in English. 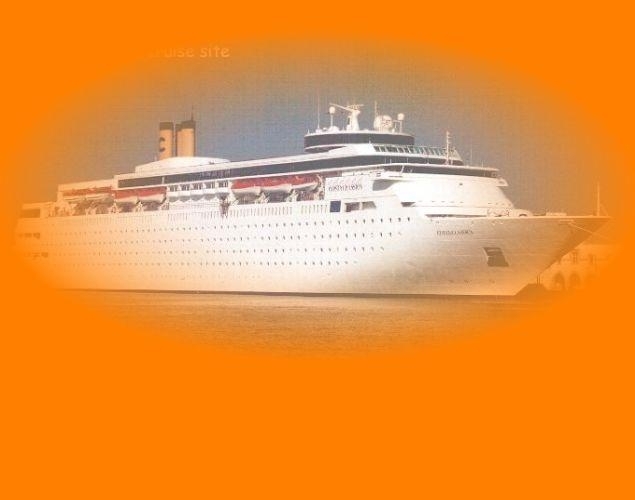 However, visit our English pages such as: News Page - World wide Fleet List - "Itineraries" - "Ship/Cruiseline" - "Cruiseterminals in The Netherlands / Belgium" and our Link Page, which has a listing of many cruise/maritime sites in English. The Webmasters cruise & shipping knowledge is based on his cruises and ship visits over the years and is an author of the section "World of Cruises and Ferries" during 19 years off the Dutch maritime monthly De Blauwe Wimpel” ended may 2016.The section is now an integral part of this site! The DUTCH CRUISE SITE / NEDCRUISE”© is independent, non-commercial cruise information site, not supported by any commercial funding and is intended to be used for your own personal enjoyment. The site is only available on internet.